The start of the season has been quite hectic. 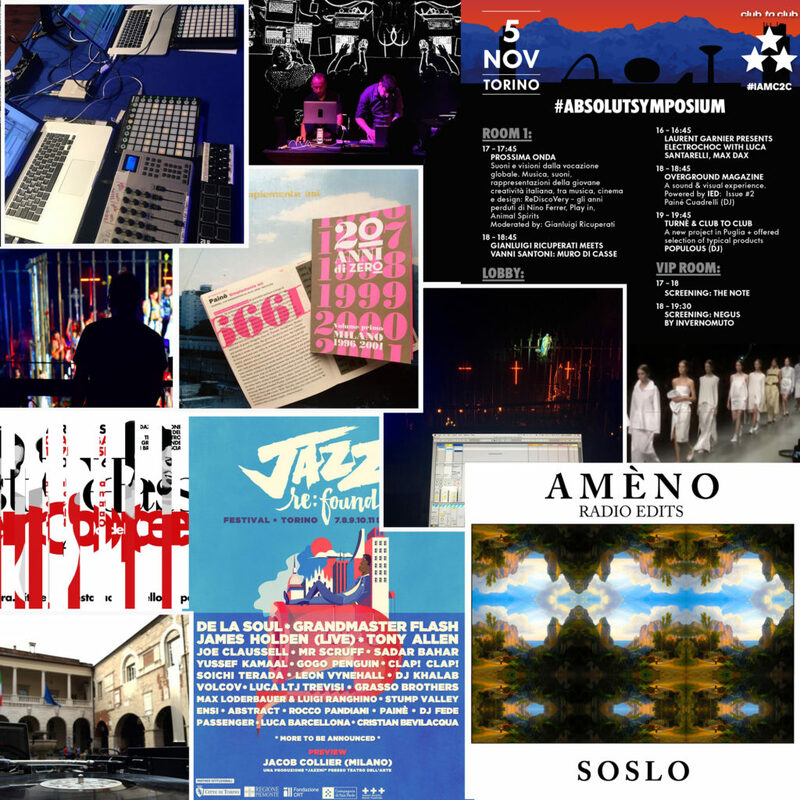 I was invited to perform a dj set at the Festa dell’Opera in Brescia. Some of the tracks I produced for the show are in a mini-mix on MixCloud. The original soundtrack of Lucio Vanotti’s fashion show is here (video). “Signals and Signs” performance with electronic musician Scanner made some noise at IF! Festivals. More news on this project soon. The beat-less music project Soslo (Sergio Messina + myself) has finally landed on Bandcamp. Our new album Amèno is out now. Amèno by So-Slo The magazine ZERO is releasing an anthology for their 20th birthday, between the articles they’re re-printing appears one talking about the release party of my first album “Simplemente Asì” (1999).